Welcome to one of the most exclusive developments of its kind – featuring a unique championship Jack Nicklaus Signature Golf Course, set in over 1,000 acres of glorious countryside in Portugal’s Eastern Algarve. Located in the unspoilt countryside between the dramatic Serra do Caldeirão mountains and the Atlantic Ocean, the landscaping has been carefully designed to ensure that the Algarvean lanscape is preserved and enhanced. The second Jack Nicklaus Signature Golf Course is on an advanced planning stage. 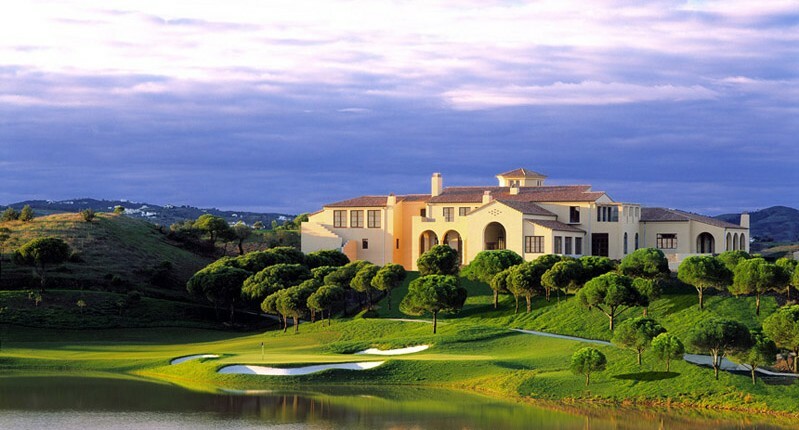 Monte Rei Golf & Country Club offers visitors a choice of beautiful villas available for short term rentals. These stunning homes located in O Miradouro Village make the ideal accommodation for families, small business groups or friends who want to enjoy a world-class resort in a unique Algarvean setting. A combination of 1, 2 or 3-bedroom villas, and 4-bedroom villas with private pool, all inspired by traditional Portuguese architecture, provides guests with an unbeatable combination of relaxed village living and all the comforts associated with modern cosmopolitan living – with 24 hour security to ensure total peace of mind. At the heart of O Miradouro Village is Veranda, which houses a restaurant and bar, and features tennis courts and swimming pools, fully equipped gymnasium and spa facilities. Veranda is the perfect place to socialise, relax and enjoy the sun. Guests staying at Monte Rei will have a very enjoyable holiday experience, with personalized service and a choice of state-of-the-art amenities – including fine dining at Vistas Restaurant and Jack Nicklaus Signature Golf Course. In-villa dining and hotel quality housekeeping services are part of the general services. Monte Rei´s vision is strikingly simple and memorably courageous to collate the very best ingredients creating a groundbreaking and world-class golf destination . Guests at our iconic Clubhouse will discover award-winning Chef Jaime Perez’s Signature Fine Dining Restaurant “Vistas”, along with the acclaimed “Monte Rei Grill” and “Academy Café” Restaurants to experience within this sanctuary framed by superb views of the sea and mountains.